One day I came home from work, and Christine told me we had to get rid of Nuggy. I was speechless. Where did that come from? My guess was too many Stephen King movies. But that’s just the stuff of another post. Needless to say, Nuggy stayed, and Christmas Time was soon upon us. Nuggy enjoyed the decorations. The Christmas Tree was something new and interesting. It was artificial, but that didn’t stop him from wanting to check it out. And occasionally chewing on it. I think he liked seeing his reflections in the different ornaments as well. 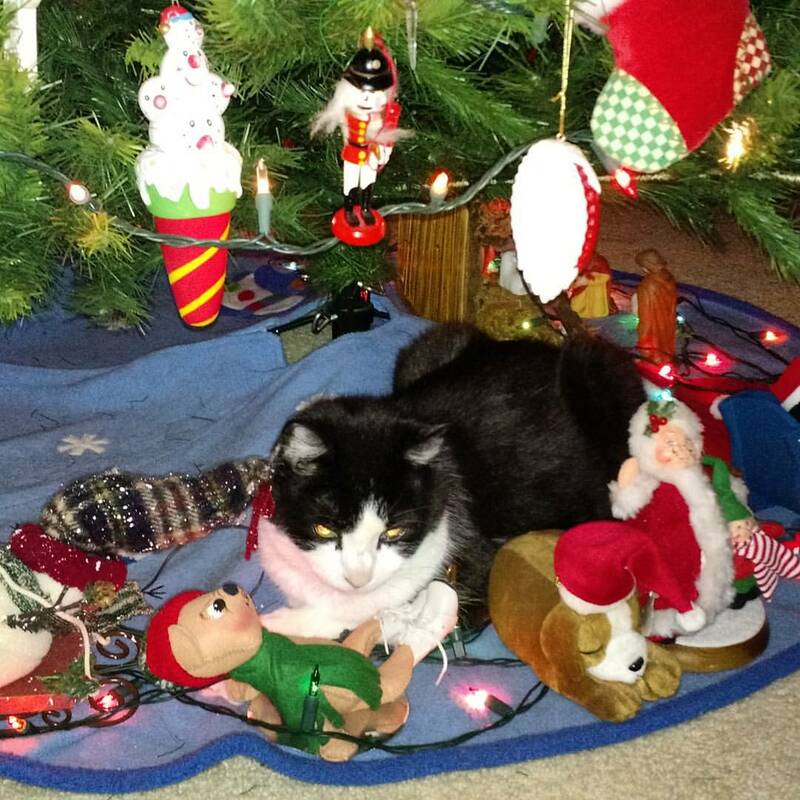 As the years passed, Nuggy would enjoy taking long winter’s naps under the tree, curled up by the nativity scene, or just enjoying the tree skirt in general. The first year, though, Nuggy wasn’t happy just staying under the tree. We got him out of the tree without much damage or disruption. There may have been a couple of squirts from the water bottle afterward. I was happy the squirt bottle was enough of a deterrent, at least until that evening. It was, but not for any longer. That night, a few minutes after we went to bed, we heard a couple of the ornaments jingling. “He’s in the tree again,” Christine said. After a couple of more minutes, we heard the tree crashing to the floor, a few ornaments rolling around on the hardwood, and Nuggy scampering through the kitchen and down the basement stairs. I set the tree back, and Christine closed the basement door. The basement door stayed closed the next morning. Christine must’ve gotten a repellent spray from the pet store, because Nuggy gave up climbing after that. Christmas Day was Nuggy’s favorite, I think. Opening presents meant plenty of wrapping paper balls to bat around the house. 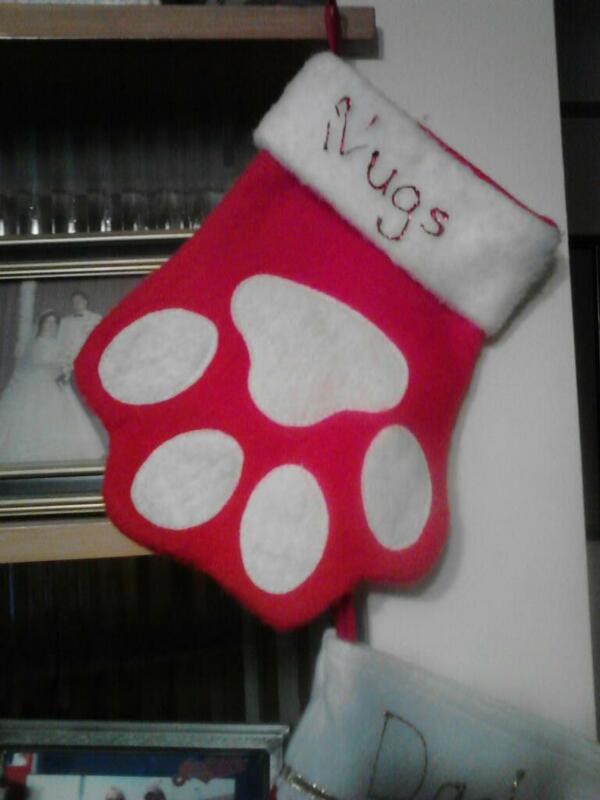 We had a stocking for Nuggy. 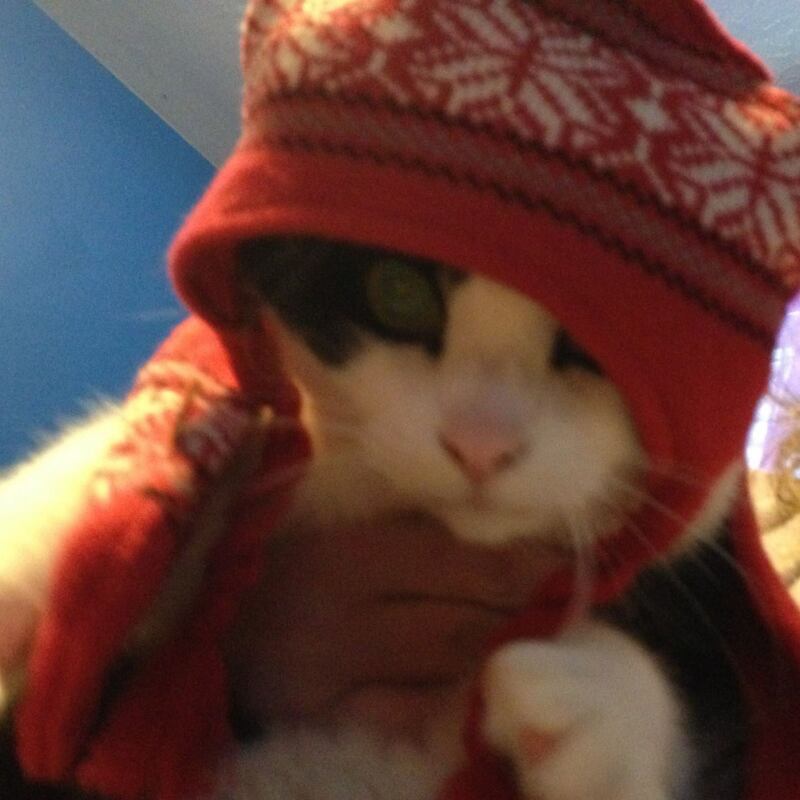 Santa would bring him a few packs of treats and some new catnip fur mice. Nuggy’s stocking was the usual red felt with white fur trim, but it was shaped like a paw instead of a human foot. My mom would come over with breakfast, which meant someone else to cuddle with and throw paper balls and fur mice. As the years went by, two more kids joined us for even more Christmas fun. I think Nuggy enjoyed the holiday smells as well. Between candles and decorations and baking and cookies, there is always a new scent to enjoy. I think Nuggy gave his love of Christmas to his little sister Marbles after we brought her home to stay. 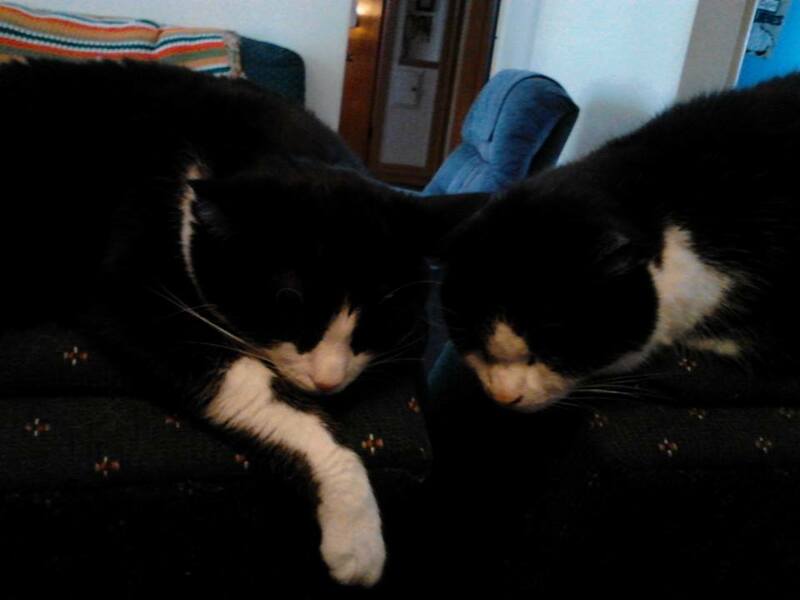 She shared his stocking and quickly learned the joys of napping under the tree and batting wrapping paper balls. And most importantly, she never climbed the Christmas Tree.